The second half of the double header in the Indian Premier League on Saturday sees the tournament returning to Mohali as the Kings XI Punjab look to be the latest team to feed on the woeful Royal Challengers Bangalore outfit. Kings XI have made an encouraging start to their campaign whereas the tournament is almost over for Bangalore already. Whether that brings about a change in fortunes for the visitors remains to be seen however. There have been a lot of close matches involving the Kings XI Punjab. They have come out on top in some of them and then they have lost some of them. They were on the wrong end of things in their last game when a Kieron Pollard masterclass got Mumbai Indians home on a fine Wankhede wicket. We will see what the Punjab side are made of here as while it has been a good start, defeat sends them to 50:50 in terms of wins and losses for the season. Kings XI’s batting has only really let them down once and that was in Chennai where the wicket is horrendous so we’re not going to hold that against them. Their bowling has been hit and miss though. You would expect that with all the dew around but if they are going to deliver the goods in the field it is likely to be at home where the outfield is so huge. It goes from bad to worse for the Royal Challengers Bangalore and it is becoming hard to know what to suggest for them to find a win. They have played six and lost the lot and with so many sides already on eight points in the table it is looking almost impossible for them to make it into the play-offs even before they reach the halfway mark in their season. If there is a positive to come from things then it comes in the form of the fact that I think they’ve got the right combination now. They just need the line up to perform much better than it is doing. They need to play with an ounce more freedom and just let the game go with the flow. It is clear to see that in the pressure moments they are wracked with tension and it is costing them badly. All eyes will be on Chris Gayle to see if he is fit after jarring his back in the previous match. Mayank Agarwal will be looking to return to the side as well. Mujeeb Ur Rahman is another who is likely to come in with Hardus Viljoen probably the man to make way despite Sam Curran’s expensive death overs. Royal Challengers Bangalore will probably make changes. It is their way when they keep losing. Dale Steyn has been signed up but he isn’t available until next week but you would think he’s straight in for Tim Southee when he is able to play. For all that Royal Challengers Bangalore have been horrible this season I actually think they match up pretty well to the Kings XI Punjab and I’m prepared to take them in this match. I’m not suggesting for one minute that there is any value at 21/20 on a team who have lost all six matches that they have played but sometimes you have to put the search for value to one side and bet on what you think will happen. For the last 2-3 matches Royal Challengers Bangalore have been going along alright with the bat but then they have completely lost their way at the end but with Kings XI having a clear issue in the death overs with the ball in hand, Bangalore should be able to build on a platform and actually finish it off for once. It looks like Chris Gayle will be out for the home side and that will be a blow. Bangalore did the double over Kings XI last season and I’ll chance it that they pick up another win here. 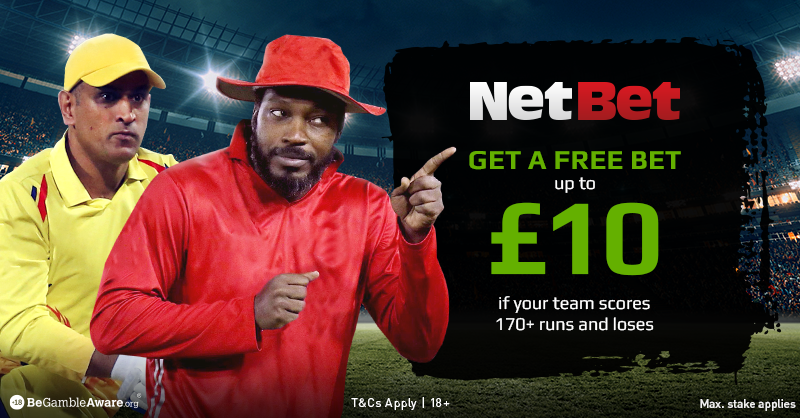 Be the first to comment on "IPL 2019 – Kings XI Punjab vs Royal Challengers Bangalore Betting Preview"